a) He who has the effulgent cakra as His weapon. b) He who enlightens everything by His effulgence. a) SrI BhaTTar's vyAkhyAnam is "gabhastih dIpyate jyotir-mayam,nemi-lakshitam cakram yasya iti gabhasti-nemih - He who possesses the effulgentcakra. His cakra is bhAsvara-sahasrAra-cakrah - the effulgent cakra with a thousand spokes. yama and yama-dhUta-s don't even come anywhere close to those who bear the mark of cakra on their bodies (see SrI BhaTTar's vyAkhyAnam for the previous nAma), since their savior is gabhasti-nemih who has as His weaponthe thousand-spoked effulgent cakra. Note the words from tiruppallANDu - tIyil poliginRa Se~n-cuDarAzhi tigazh tiruc-cakkarattan (SrI v.v.rAmAnujan). The dharma cakram writer comments that this cakram in bhagavAn's Hand denotes the dharma cakram which controls, guides and directs everyone towards the path of dharma, and is the kAla cakram which shows the never-ending nature of time which is His manifestation. b) SrI satyadevo vAsisTha derives the meaning of the nAma from the roots bhasdIptyoh to shine, and nI prApaNe to lead. The word gabhasti is derived from the root bhas bhartsana dIptyoh - to censure or to shine. The latter meaningis relevant for this nAma. The word nemi is derived from the root nI prApaNe - to lead. nemi is given the meaning "the circumference or rim of awheel". Thus gabhasti-nemih means He who by His Effulgence enlightens everything. We all know that the Sun gives light to everything. But it is bhagavAn thegabhasti-nemih, who gives light to the Sun. He is br*had-bhAnu or "manysuns all in one". c) SrI Sa~nkara bhAshyam is that bhagavAn is the Center of the planetary systems - gabhasti-cakrasya madhye sUryAtmanA sthita iti gabhastinemih. SrIrAdhAkr*shNa Sastri refers us to the Sruti - Adityo vA esha etan-maNDalam, ya esha etasmin maNDale'rcidIpyate | ya esha etan-maNDale'rcishi purushah ||(tait. AraN. 10.14), and also to "dhyeyas-sadA savitr*-maNDalamadhyavartI nArAyaNah" - He who is meditated upon as Lord sUryanArAyaNa at thecentre of and controlling the sUryamaNDala". a) He who is in the hearts of the devotees. b) He who abides in sattva-guNa. c) He who resides in all beings. The dictionary gives the meanings entity, mind, goodness, etc. for the wordsattvam. The three interpretations below are based on these different meanings. a) SrI BhaTTar points out that when bhagavAn is in the heart of the devotees,there is no karma in them since darkness does not exist where there is sun. samarthAhtasya yasyAtmA keSavAlambanah sadA || " (vishNu purA. 2.2.28). b) SrI Sa~nkara interprets sattva here as referring to the sattva-guNa, and gives the meaning that bhagavAn abides in the sattva guNa - sattvam guNamprakASakam prAdhAnyena adhitishThati iti - He who chiefly presides over the quality of sattva guNa which is radiant. dharma cakram: Of the three guNa-s that are reflected in everyone, sattvaguNa is the one that results in the clarity of mind that is necessary forrealizing the Absolute Truth. The food we eat, the thoughts we think, etc., shouldall be directed towards development of this sattva guNa in us. Habits like gettingup in the brahma muhUrta (~ 4 a.m.), observing japa, dhyAna, etc. at this time, performing one's prescribed duties with the welfare of the fellow-beings inmind, never harming anything else, etc, are habits that will foster the development of sattava guNa in us. This nAma teaches us that leading our lifewith sattava guNa is the path to the realization of bhagavAn. c) SrI Sa~nkara's alternate interpretation is that sattva-s refers to all beings, stha means residing, and sattva-sthah can mean that He resides in allbeings. a) He who punishes (those who harm His devotees). b) He who took the nr*simha form. c) He who is most powerful. This nAma has occurred earlier (nAma 202). There SrI BhaTTar had interpreted the nAma as referring to bhagavAn's nr*simha incarnation. For the currentnAma, he continues his interpretation in terms of bhagavAn protecting His devotees by punishing if necessary anyone who even tries to harm His devotee. Thus He punishes yama and his servants if they approach a vaishNava with the intent of harming him without realizing that he is vishNu's devotee. SrIBhaTTar gives examples from vishNu tattva, vhshNu dharma, and lai~nga purANa to illustrate this. SrI Sa~nkara's earlier interpretation was that bhagavAn is the Destroyer of sins. His vyAkhyAnam for the current nAma is that bhagavAn is like the lionwhen it comes to His Power, and so He is referred to as simha. SrI rAdhAkr*shNa Sastri suggests that bhagavAn is the lion that gets rid of thedeer in the form of asura-s. Alternatively, SrI Sa~nkara points out that simhah may considered a short form for His full nAma -nr*simha. SrI satyadevo vAsishTha derives the meaning from the root sic - ksharaNe tosprinkle, to impregnate, and interprets simhah as He who bestows the karma-phala to everyone impartially. His alternate interpretation is thatbhagavAn is of infinite Power, which is indicated by His nAma of simhah. He takes away the life of everything in their due time, including themanvantara-s, the kalpa-s, and the mahA-kalpa-s, and merges them all into Himself. Just as we refer to a great medical doctor as vaidyakesari, bhagavAn is the kesari of all kesari-s or lions. The Supreme Lord of all beings. SrI BhaTTar's vyAkhyAnam is that BhagavAn is the Supreme Lord of all beings, asevidenced by His being the Lord of the likes of brahma, yama etc. who are themselves the lords of beings. SrI v.v.rAmAnujan refers us to divyaprabandham in support - - niruttinAn deiva~ngaLAga ad-deiva nAyakan tAnE - He, the Lord of all theother gods, established these other gods (tiruvAimozhi 5.2.8); - mUvar mudalvan Or mUvulagALi - The foremost among the trinity, and theSupreme ruler of all the three worlds - tiruvAimozhi 8.9.8; - peria appanai, piraman appanai, uruttiran appanai, munivarkku uriyaappanai, amarar appanai, ulagukkOr tani appan tannai - He is the Father and Lord ofall including brahma, rudra, the sages, all the gods, ane everything in all the worlds - tiruvaimozhi 8.1.11. SrI Sa~nkara interprets the nAma as bhUtAnAm mahAn-Isvarah - He who is the Great Lord of all beings. His alternate interpretation is bhUta - truly,maheSvarah - nArAyaNa is the Supreme Lord. bhUtena - satyena, sa eva paramAtmA mahAn Isvara iti bhUta-maheSvarah. SrI rAdhAkr*shNa Sastri refers us to thegItA where bhagavAn points out that sadly the foolish people do not recognize His glory as the bhUta-maheSvara because they think He is just a human eventhough He has assumed the human form out of sheer Mercy towards to them so that He is easily accessible to them (gItA 9.11). - bhavASavau mr*Datam mAbhi yAtam bhUtapatI paSupatI namo vAm (atharva 21.2.1). - yo bhUtAnAm adhipatir yasmin loke adhiSritAh | ya Ise mahato mahAns-tena gr*hNAmi tvAm aham(yaju. 20.32). - hiraNyagarbhah samavartatAgre bhUtasya jAtah patireka AsIt - r*g. 1.121.1.
a) He who is the first cause and is endowed with effulgence. c) He who swallows the three worlds at the time of pralaya, and releases at the time of creation. This nAma occurred earlier as nAma 335 (Slokam 36). SrI BhaTTar's vyAkhyAnam is Adih dyotamAnaSca Adi-devah. Adi - The cause, and deva - ever-shining. He is the cause of all the other gods, and is possessed of great splendor that subjugates them. SrI BhaTTar gives one example of this - bhIshA'smAt vAtah pavate (taittirIya - Ananda valli 8.1) - The wind blows out of fear from Him. SrI Sa~nkara bhAshyam is - sarva bhUtAni AdIyante anena iti Adih; AdiSca asu devaSca iti Adi-devah. He is the first through whom all beings come to exist, and He is divine as well. Unlike SrI BhaTTar and SrI Sa~nkara who both have treated Adi and deva as two separate aspects of bhagavAn's guNa, SrI cinmayAnanda treats Adi as the qualifier for deva, and gives the meaning that bhagavAn is the First Deity. SrI satyadevo vAsishTha gives the interpretation that bhagavAn is Adi - Adatte grasati jagat-pralaya kAle sa Adih - He who swallows the worlds at the time of pralaya, and deva - datte visr*jati ca bahih sarga kAle sa devah - He who releases the beings from Him at the time of creation, and so He is Adi-devah. The dharma cakram writer remarks that this nAma indicates that bhagavAn is not governed by nature as we know it, where everything has an origin - e.g., the tree comes from the seed, and the seed comes from the seed, the deva-s come from bhagavAn, but He is Adi-deva who has no origin. Everything that is created has an end, but He has no end. Even the gods can't comprehend Him fully. We who have an origin and an end can't fully comprehend Him who has neither origin nor end, and the more we meditate on the significance of the nAma Adi-devah, the more we are closer to realizing Him. As we have seen earlier, the word devah is derived from the root div- krIDAyAm to play. He is superior to all the gods and for Him they are like playthings (SrI BhaTTar). This indicates His Lordship over all the other gods. SrI v.v. rAmAnujan gives reference to nammAzhvAr - inbuRum iv-viLaiyATTuDaiyAn (tiruvAimozhi 3.10.7). In his vyAkhyAnam for this pASuram, SrI V. N. vedAnta deSikan points out that the inbam or leelA here is that He gives us all the means to reach Him (such as His arcA rUpa which is close to us, His bestowing on us the caitanyam, the ability to think and understand what is good for us, etc. ), and still we decide not to use any of these means that He has given us and go astray. This amuses Him, and this is the krIDA or leelA that is implied here. Or, since He performs His great leelA of creation etc., using all the gods that He has created such as brahma, He is mahA-devah (SrI P. B. aNNa~ngarAcArya). SrI cinmAyananda explains that since all the other gods came from Him, He is the mahA-deva or Supreme Lord or Great Deity. SrI satyadevo vAsishTha uses the meaning mah - pUjAyAm - to honor, and interprets the nAma s meaning "He who is fit to be worshipped to the exclusion of others". He gives examples of the stars losing their importance as soon as the Sun appears, or the AtmA being of supreme importance in the context of the indirya-s which are like the deva-s.
devAnAm Isah deveSah. SrI cinmayAnanda explains "He is the very Consciousness in all the other gods". Consciousness here can be interpreted to mean "antarAtmA". He is the God of all the gods, and of course everything else that exists. 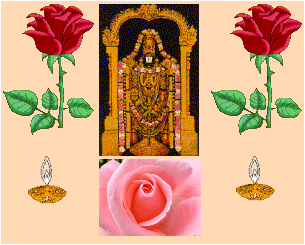 "vAnOr perumAn mAmAyan vaikunThan emperumAn" are nammAzhvArs's words (tiruvAimozhi 1.5.4) - v.v. rAmAnujan. SrI P. B. aNNa~ngarAcArya svAmi elaborates that since bhagavAn is the one who assigns the other deva-s such as brahma in their respective functions, He is the Isa or Lord for all the deva-s.
- yo deveshu adhi-deva eka AsIt kasmai devAya havishA vidhema - r*g. 10.121.8. - yo jAta eva prathamo manasvAn devo devAn r*tunA paryabhUshat - athar. 20.34.1. - sa devAnAm adhipatir babhUva so asmAsu draviNamAdadhAtu - athar. 7.5.2. - tam ISAnam jagats-tasthushaspatim dhiyam jinvamase hUmahe vayam - yajur. 25.18. SrI BhaTTar points out that bhagavAn assigns the different deva-s to their duties based on their abilities, and thus protects them. SrI v.v. rAmAnujan gives reference to nammAzhvAr 8.1.5 - maniSarkku dEvar pOla dEvarkkum dEvan. SrI Sa~nkara and those who base their interpretations on him (e.g., SrI cinmayAnanda etc. )., combine the current nAma and the next as one nAma - deava-bhr*t-guruh - and gives the meaning that bhagavAn is the guru (One who taught the veda-s) to deva-bhr*t (the king of all deva-s, indra). Their alternative interpretation is still to consider the nAma as deva-bhr*t-guruh, but treating the nAma as referring to two different attributes in one nAma - deva-bhr*t - He who nourishes all the deva-s, and guruh - He who promulgates all knowledge. SrI BhaTTar's vyAkhyAnam to the next nAma, guruh, essentially corresponds to bhagavAn being the source of all knowledge in the form of the veda-s.
SrI BhaTTar gives the interpretation mentioned earlier viz. bhagavAn is guruh because He gaves the veda-s to the deva-s. In vishNu purANam, brahma is quoted as saying: hari-guru-vaSago'smi (3.7.15) - I am under the control of my Guru - bhagavAn Hari. We have from the Sruti - yo vai vedamSca prahiNoti tasmai - (Sve. 6.18) - He who teaches him (i.e., brahma) the veda-s. SrI v.v. rAmAnujan reminds us that bhagavAn is the prathama AcAryan in our guru-paramparA.